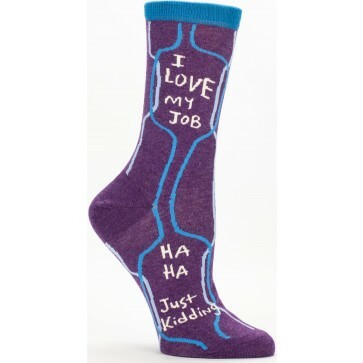 Women's Crew Socks will make your boss think you love your job, but really you'll be concealing a secret! You're just kidding! Sizes 5-10. 50% nylon, 48% combed cotton, 2% spandex. Washing machine and dryer safe.